The enchanting city of Venice, its surrounding islands and classic Italian countryside and beaches are yours to discover and enjoy from the superb vantage position of your own sundeck. Head towards Trieste and discover the old traditions, quieter lifestyle and unspoiled landscape of the region Friuli. To the South of the Venetian lagoon, the protected nature reserve of the Po Delta and the nearby colorful villages will delight the nature lovers and bird watchers among you. 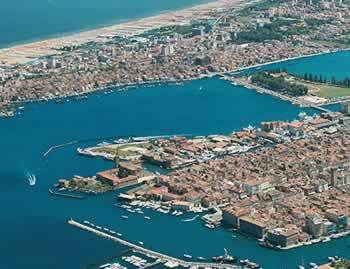 More than 120 islands are ensconced within the beautiful Venetian Lagoon. Sand bars and barrier beaches protect the shallow waters from the open Adriatic, creating the largest wetlands in the entire Mediterranean and one of Europe’s richest habitats for birds and other marine life. Checking out a Veneto Italy map shows that Venice is more than just a premiere city. It’s a much larger area collectively designated a UNESCO World Heritage site. As you head north up the coast from Venice, you enter the Friuli region of Northeast Italy. This area is less traveled. On the way, you pass the Sile, Piave, Livenza and Stella rivers. Each is distinct in character, playing host to wetlands, woodlands and sandy beaches. The little cousins of the Venetian Lagoon create an idyllic setting, one that makes you want to linger and enjoy! In around 400 A.D., barbarians from Northern Europe swept into Italy, raiding and pillaging as they came. Some inhabitants fled to the islands off the mainland of present-day Venice. The open water afforded some protection. The settlement thrived on fishing and trading, and by the mid-1400s it was at the height of its power. It was known as the Queen of the Adriatic. The array of 150 canals and 400 bridges in the city make it one of the most unusual places in the world. When cruising in the Venetian Lagoon near Venice, traffic can be quite heavy. Thus, some previous boating experience is recommended. The waters of the Friuli region are much less crowded and better suited for beginners. 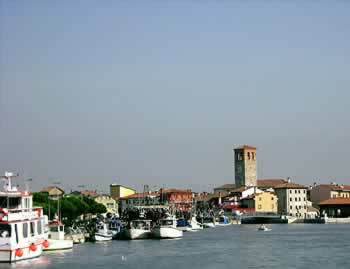 All the lift bridges and locks on the Venetian Lagoon and the surrounding waterways are automatic. You will find wooden posts (briccole) marking the channels for cruising. When you’re near Venice, you can only moor in designated public mooring places. Space is quite limited, especially in the busy summer season. Take a water taxi (vaporetto) to your tourist destination in the Venetian Lagoon instead of hassling over a place to park the boat. When traveling from Casale, exclusive private moorings are available for Le Boat customers at $110 per week or $70 for a short-break supplement. In the Friuli region from our base in Precenicco, you’ll find a wider selection of moorings.